Find me someone who doesn't like pizza, and I'll show you someone who is probably not human at all! Anyone who dislikes melty cheese, tangy sauce and crusts of all kinds must be some kind of android actually sent here to destroy the planet! We all have our favorite toppings, as well as those we loathe. That much is true. But I think we can all agree...a world without pizza would be a very depressing place. 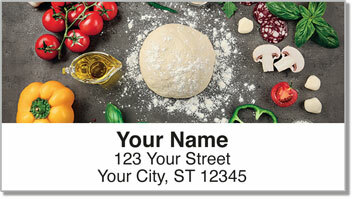 Celebrate your love for a delicious Italian pie with Pizza Address Labels from CheckAdvantage. 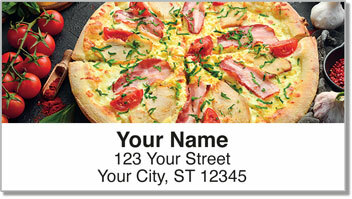 A great choice for pizzeria owners, but perfect for all humankind...no matter how you slice it! 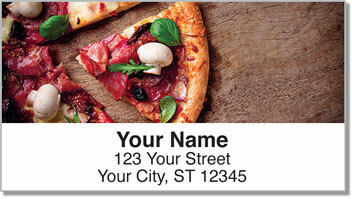 These labels are self-adheisve, which means the task of preparing your outgoing mail is going to get extra easy! Just peel and place! 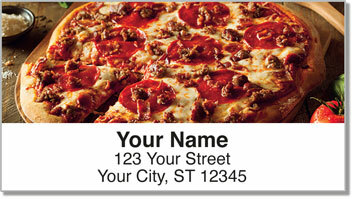 Order your own Pizza Address Labels today! Get them with a set of matching personal checks.